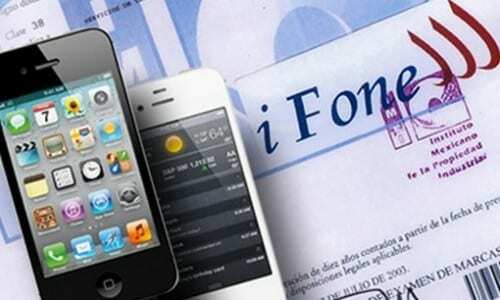 Last November, the Mexican company iFone won a lawsuit against Apple. The Californian company took to justice those responsible for signing iFone these stop using that name, by the striking resemblance it has with Apple's iPhone. However, 'iFone' was registered in the Mexican Institute of Industrial Property in 2003, four years before Apple will launch its flagship product, so the apple bite lawyers have not had many options to rise with the victory. Today Apple has suffered another loss in this case. In November, after learning of the ruling, the company interposed an appeal has been rejected by the Sixth District Court for Administrative Matters in Mexico City. In this appeal, Apple again request that the brand iFone stop using that name, as the company is inactive for several years. What is clear is that the owners of this company have been presented a great opportunity to do business with it. Indeed, when we go to their official website , note that the page has been inactive since 2006. We'll have to wait to see if measures are undertaken against Apple. Article iFone gains a new legal battle against Apple has been originally published in News iPhone .